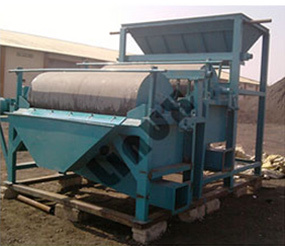 We are well-known manufacturer and exporter of the different types of magnetic separators. In order to remove fine and very fine magnetisable contaminants from the medium, we have designed and developed best quality wet drum magnetic separator used in many industrial applications. Our wet drum separators offer precisely fabricated cylinders that contain high-gradient magnetic discs. It efficiently removes ferro-sillicon particles along with ferrous contaminants. To offer powerful field of magnets, we make use of high power magnet such as rare earth magnets. It is available with different sizes, shapes and designs. 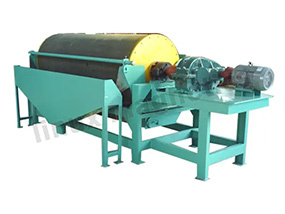 For more efficient result of Wet Drum Magnetic Separation process, drum separators are arranged back to back and material is subject to pass through the field twice. 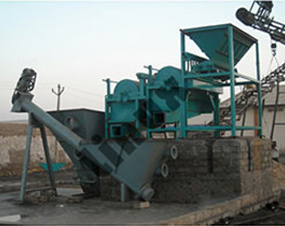 We also provide multiple drum separators. It provides much pure products.